Jack Curtiss Smith of Barefoot Bay, Florida. SEBASTIAN – Jack Curtiss Smith, age 60 of Barefoot Bay, FL went to Heaven on the 27th day of January 2019. Jack was a very loyal son, brother, and friend to all that knew him. 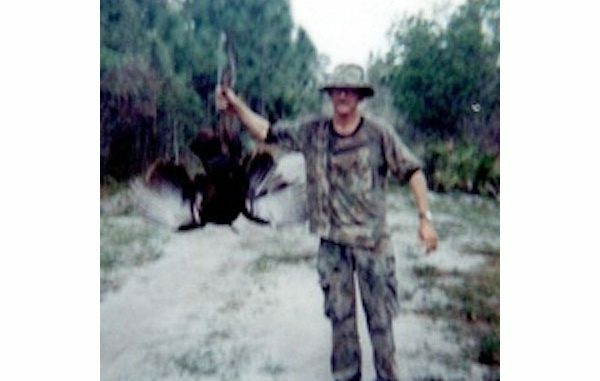 He loved hunting, fishing, camping and of course his beloved Bengals in football. He is the son of Jack Curtiss Smith and Johnnie Lou Wilson Smith, both who have passed. He is survived by his sister, Catherine Komarisky (David) of Scipio Center, New York; brother, Thomas Clifford Smith of Barefoot Bay, FL; nephews, Jacob, Garrett and Maggie Komarisky and JoBeth Huskey all of New York; great-nieces and nephews, Carline, Carson, Bowen, Jesse, Timmy, Tyler, Skylar, Zachariah, Xavier, Max and Jason; and good friend, Rusty Hasenjager; good family and friends, Boss Tom Rausher and Liz Rosselle, Pastor David Daniel and all the Wal-Mart Family, John, Vicky, Sabrina, Mike, Little D, Stephanie, Sara, Halie and Ellie. In Lieu of flowers, contributions may be made to VNA Hospice House, 1110 35th Lane, Vero Beach, FL 32960; Cancer Society, American Heart Association or American Kidney Foundation. A celebration of his life will be held at 1:00 PM on Saturday, February 16, 2019 at Sebastian Church of God, 281 Delaware Avenue, Sebastian, FL 32958.